Say hello to your new Sonic the Hedgehog. As Variety first reported, Parks and Recreation alum Ben Schwartz has landed the role of Sonic in Paramount Pictures' forthcoming Sonic the Hedgehog film. Schwartz will officially join the movie to provide the voice of Sonic, the little blue hedgehog who sprinted his way into the mainstream through the Sega video game franchise that began in 1991. As the film blends live-action footage with CGI elements, it's assumed that Schwartz's Sonic will be completely computer generated. "I. LOVE. 90S. BLUE. ICONIC. CHARACTERS. I am beyond excited about this movie. It's gonna be amazing," Schwartz tweeted when news of his casting first broke. "I have been training by running, wagging my finger and impatiently tapping my foot. GOTTA GO FAST!" Clearly, the dude's excited about playing Sonic. For Sonic the Hedgehog, which has Oscar-nominated filmmaker Jeff Fowler on board as director, Schwartz joins a cast already full of talent. James Marsden plays the film's human lead, Tom, a police officer who teams with Sonic on an important mission. Ride Along actress Tika Sumpter portrays the female lead in Sonic the Hedgehog, but Paramount hasn't yet revealed concrete details on the character. With Tom's help, Sonic ventures to defeat the evil Dr. Ivo "Eggman" Robotnik, who has kept animals captive inside robots and has stolen the magical gems known as Chaos Emeralds. Jim Carrey is attached to portray Dr. Robotnik in a live-action performance. The actor recently noted that he'll recreate the mustachioed villain using "magic mixed with desperation," which sounds a whole lot like disposition Josh Brolin's Infinity Stone-hungry Thanos held in Avengers: Infinity War, if you ask us. 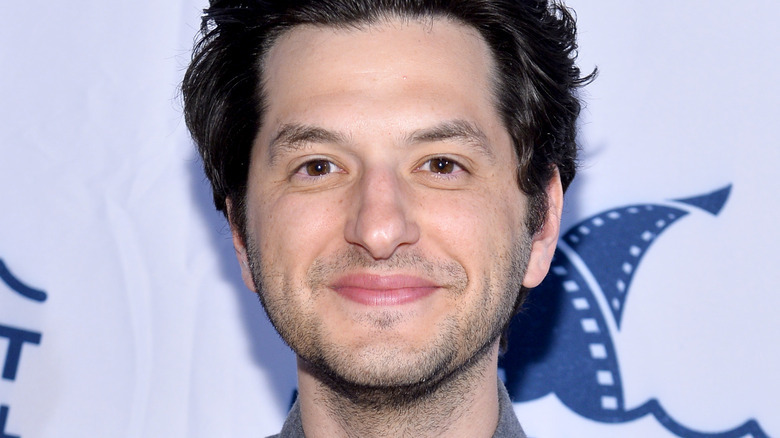 Though he's best known for playing the cocky, over-the-top Jean-Ralphio Saperstein on Parks and Recreation, and gifting the world such phrases as "she is the worst" and "turn that frizown upside-dizzity" in doing so, Schwartz actually has a fair bit of experience in voice-acting. Right now, he lends his pipes to Dewey Duck on the Disney Channel DuckTales reboot series, and is set to voice Leonardo in the Nickelodeon animated show Rise of the Teenage Mutant Ninja Turtles, which will premiere on September 17. As silly as it may initially sound, Schwartz is actually making history with this role. The Sonic the Hedgehog movie marks the first time the title critter has appeared on the silver screen in his own film. Sonic, his best bud Miles "Tails" Prower, and Dr. Robotnik popped up in Disney's Wreck-It Ralph back in 2012, but Sonic only had a small voice role, Tails was seen in a photo, and Dr. Robotnik didn't even talk. Eagle-eyed Ready Player One fans spotted Sonic in the film earlier this year as well, but again, that tiny Easter egg-level cameo is nothing compared to a feature-length film all about the lightning-fast hedgehog. With his voice-acting skills, his comedy chops, and his apparent love for the character, Schwartz seems more than capable to do Sonic the Hedgehog justice. Produced by Deadpool director Tim Miller and The Fast and the Furious producer Neal H. Moritz, Sonic the Hedgehog will zip into theaters on November 15, 2019.